Fire Protection Services Northwest are Based in Manchester & Bolton and are BAFE qualified fire extinguisher engineers operating throughout Manchester, Bolton and the Northwest UK. 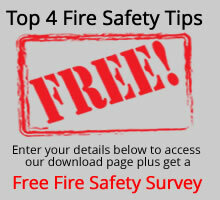 We offer companies genuine advice on fire safety including the different types of fire extinguisher, the number of fire extinguishers required by law and fire extinguisher servicing intervals. As an independent company you can be assured of a reliable service at fixed prices with no hidden extras! 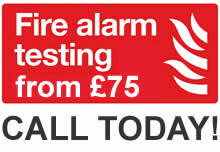 For more information and a no obligation fire risk assessment or quotation for sales or servicing of fire extinguishers call Andy Dearden on 0161 244 9952 or contact us online. 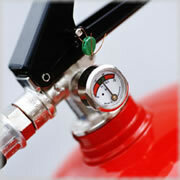 Fire Protection Services Northwest have been supplying fire extinguishers in Manchester for over seven years and our solid reputation has been built on providing professional fire protection services that are always great value for money. As a local family business we have low overheads which means that we can offer you an extensive range of fire extinguishers, fire risk assessments and BS5306 standard fire extinguisher maintenance at very competitive prices. 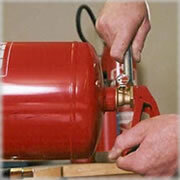 Fire Protection Services Northwest are based in Manchester & Bolton and are therefore most able to supply and service fire extinguishers in the North West UK including Manchester, Bolton, Wigan, Preston, Bury, Blackburn, Chorley, and throughout Lancashire Cumbria Merseyside and Greater Manchester. Specialists in supplying fire extinguishers for businesses of all sizes, we offer genuine advice, reliable service and fixed price fire extinguisher servicing with no hidden extras. 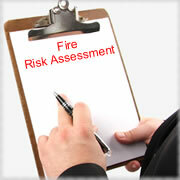 Fire Safety Survey or contact us online and we will call you back.